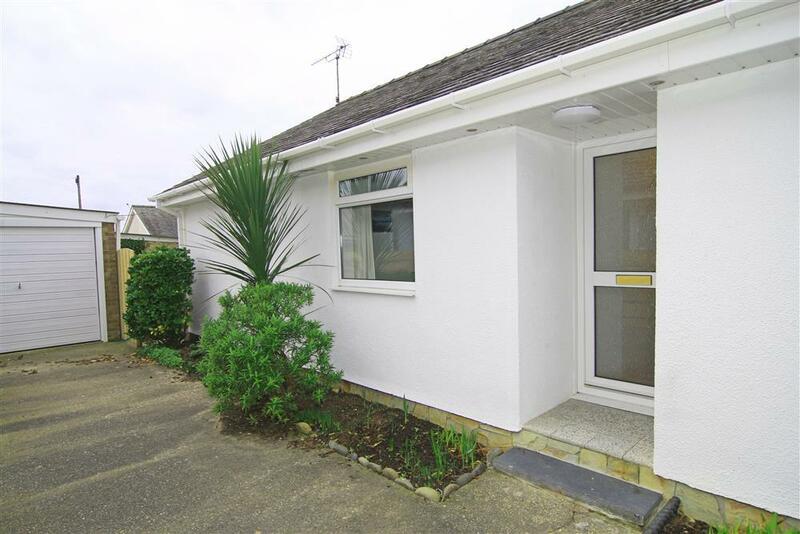 A very conveniently designed detached bungalow in a quiet estate in the seaside village of Morfa Bychan, 2ml from the harbour town of Porthmadog (the home of the Ffestiniog Railway and the Welsh Highland Railway). 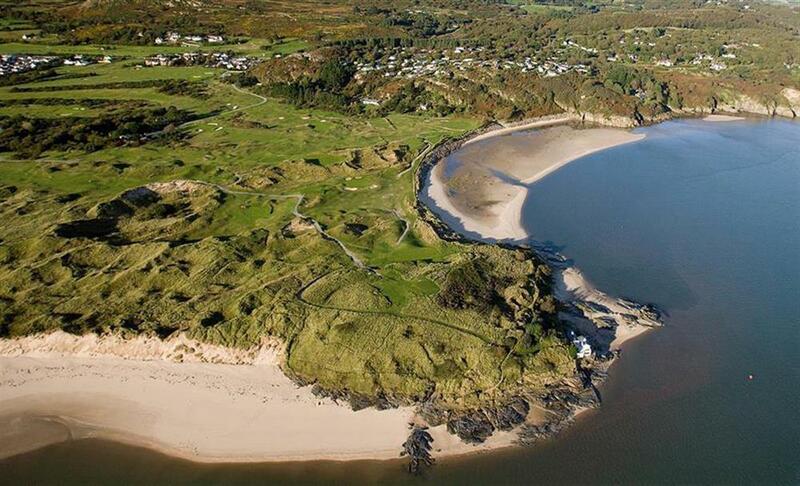 Situated only 2 mins drive (or an easy 10 mins walk) to the nearby sandy beaches at Morfa Bychan. Very comfortably furnished holiday home for those wanting a comfortable stay for relaxing and exhilarating walks on the 4 miles of sandy beaches and cliff top walks and scenic Moel y Gest mountain (2 km). A challenging 18 hole golf course (1 km), stocked fishing lake, a shop, hotel and fast food restaurant are within walking distance. 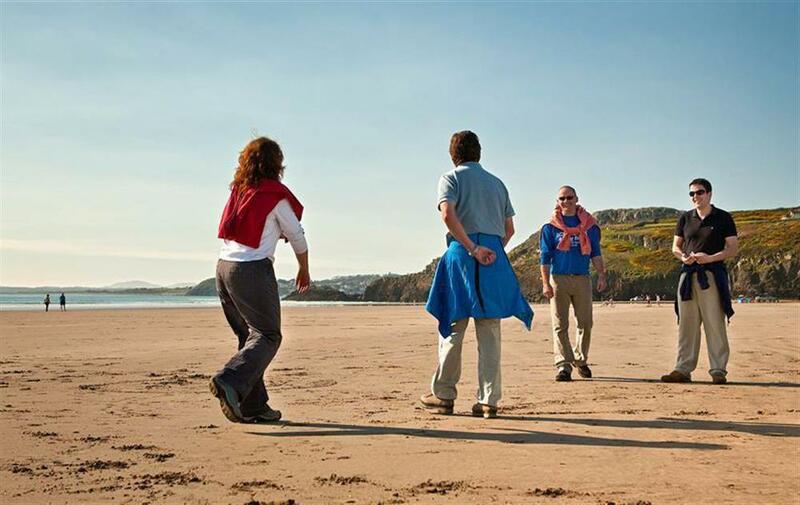 Sailing, fishing, wind surfing and water sking are allowed off Black Rock Sands beach. Snowdonia mountains at Beddgelert 9 mls, Abersoch and the Llyn Peninsula 30 mins drive. Porthmadog is a small town with a variety of shops, inns and restaurants, steam train rides and leisure centre 2ml. Cricieth beach & Castle 5 mls, Harlech 10 mls, Portmeirion 'Italianate' styled village (2 mls). 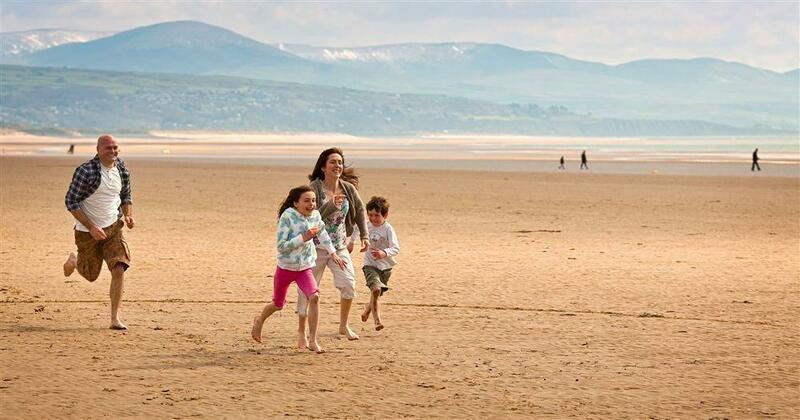 Excellent central location for enjoying Snowdonia, North Wales and the Llyn Peninsula. 3 BEDROOMS: 1 bedroom with a Kingsize bed, 1 Twin bedroom, 1 bedroom with a single bed & pull out single (which is only suitable for a child). Bed linen is provided, whilst towels are not provided but are available to be hired from the owner. BATHROOM/WC with seperate shower cubicle. KITCHEN with electric cooker, fridge/freezer, microwave, washing machine/dryer, dishwasher. LOUNGE/DINER: with TV & DVD with Freeview channels, dining table with 6 chairs. GARDEN to rear is enclosed, open plan garden to the front. ELECTRICITY & HEATING: Central heating & electricity included. TOWELS: No, but available to hire from the owner. PLEASE NOTE: The property is more suitable for maximum of 5 adults. There is only a 3 seater and 2 seater settee in the lounge, however there is a single wicker chair. Dining table OK for 6. Also, there are 2 easy rise steps going into the property. Mini-break rules at this cottage: A mini-break is a holiday for less than a week and/or may start on a day which isn't the normal changeover day (Saturday). This property owner will only accept mini-breaks 56 days before the starting date of the holiday, out of season only (November to the end of February) and not in school holidays. To book out of season, please click here . The C Family (May, 2018): "Morfa Bungalow was really clean and well equipped. We enjoyed our stay here. It was mercifully quiet. We loved the Bungalow and we will be back next 'Prisoner Convention' at Portmeirion, Thanks." TA (Oct, 2016): "We couldn't have asked for better accommodation. The bungalow is very well equipped, comfortable and well kept. It has a lovely garden area too"
Ms S (Sept, 2016): "What a lovely holiday let. Very quiet, calm and peaceful but very near the awesome beach. Decorated beautifully with a coastal palette. Best fitted out holiday let we have had in years, kitchen brilliant and attention to detail with board games, books etc was great. Perfect for couples with friends or a family". Y (May, 2016): "It is spacious, clean and comfortable and decorated to a high standard. Situated in a quiet cul-de-sac with a private garden at the rear, it is ideal for a peaceful holiday. Very close to the beach, and in the town of Porthmadog (just 5 mins by car) there is the heritage railway"
D H (April, 2016): "Second time I have stayed in this clean spacious well equipped bungalow. If it is peace and quiet you want this is the place. We had three young adults in our party and they were quite at home. Location for all their extreme sports was perfect and lots of quiet peaceful walks for the rest of us." Ms G (Sept, 2015): "Excellent. Everything was 100%." Ms S (May, 2014): "Really peaceful. Perfect location - ideal for the beach and an excellent base to visit the surrounding places. Will definitely return." Mr S (May, 2014): "We enjoyed our stay here very much. It's is a very comfortable, quiet and pretty bungalow. We are planning to come back." Mr Z (June, 2014): "We loved staying in this lovely welcoming bungalow. It's ideal if you enjoy walking." July, 2014: "Enjoyed our stay very much, very nice bungalow, well equipped, comfortable & in lovely location." July, 2014: "We have all really enjoyed our stay here at Delfan. The bungalow is really comfortable and a perfect location. We will be recommending it to our family"
"A great holiday home with a beach side feel." Please note: A returnable £100 Good Housekeeping Deposit will be required before we can give the key arrangements. Our experience shows that this procedure results in an all round better holiday for everyone, as our holiday home owners are prepared to offer better quality properties for guests and all guests fully respect the property and so make manageable the process of preparing the property for the next guest's full enjoyment. Nearly all our guests are respectful people where the bond is fully returned. We have a high proportion of returning guests who are appreciative of our service and the high standard of accommodation that we strive to provide. Please be assured that STS is a Visit Wales/Welsh Assembly Government Accredited agency. Thank you in advance for your co-operation. There is a step into the open porchway and another step through the front door. Access is through a glass panel door from the hall. Flooring is wood laminate with a rug. Access is through a standard size door from the hall. Shower enclosure, WC, bath and hand wash basin. Access is through double doors from the hall. All bedrooms are accessed from the hall and have beds and bedside tables with additional lighting. Access is through a side timber gate next to the garge. The enclosed garden is mainly lawn and includes a paved patio.